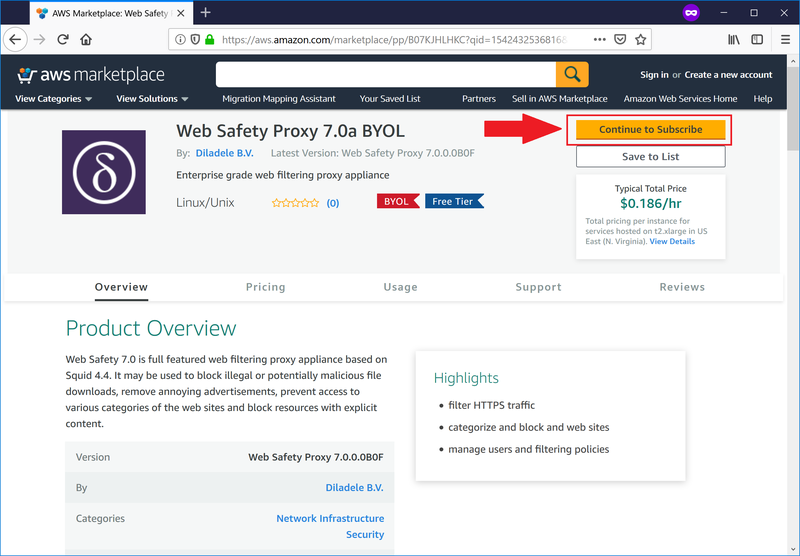 In order to deploy Web Safety web filter in Amazon AWS, navigate to https://aws.amazon.com/marketplace, type web safety in the search box and hit Enter button. 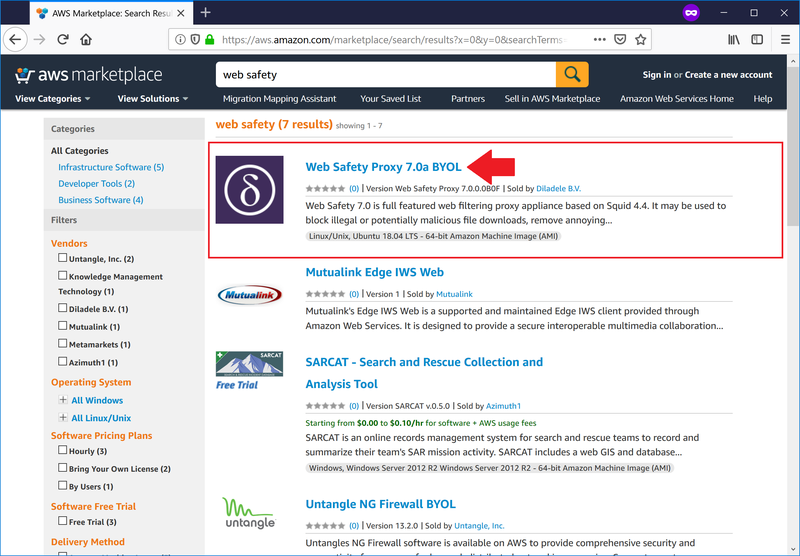 You should now see the Web Safety Proxy virtual appliance listing in search results, click on the title. And click Continue to subscribe. 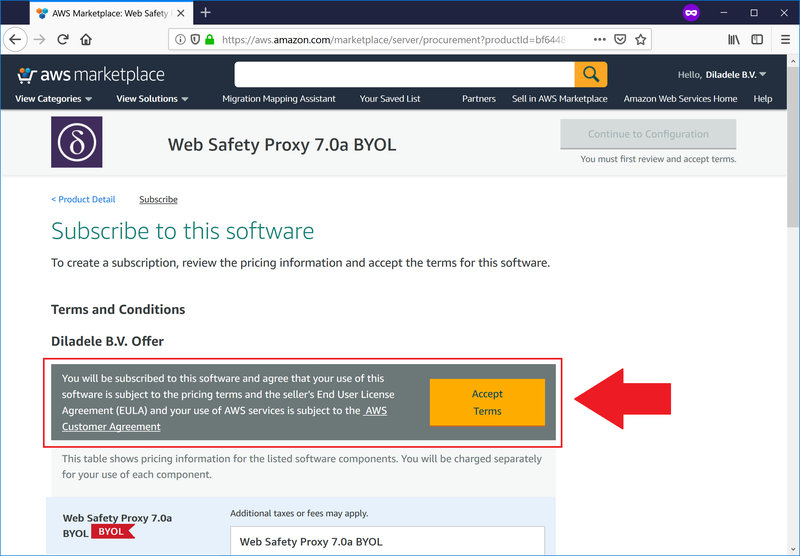 Accept the subscription terms and click Continue to Configuration. The subscription takes several minutes to proceed. 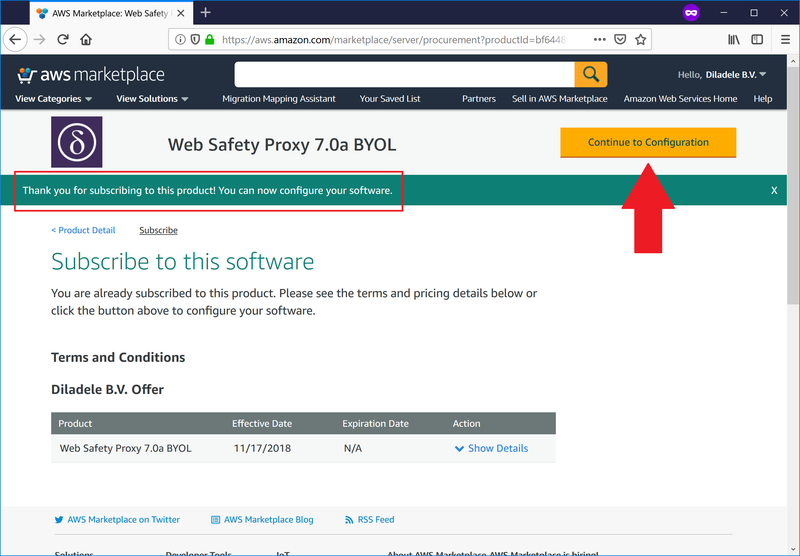 Do not refresh the browser page while Amazon processes the subscription request. After a while the Thank you for subscribing message will be shown, click the Continue Configuration button. 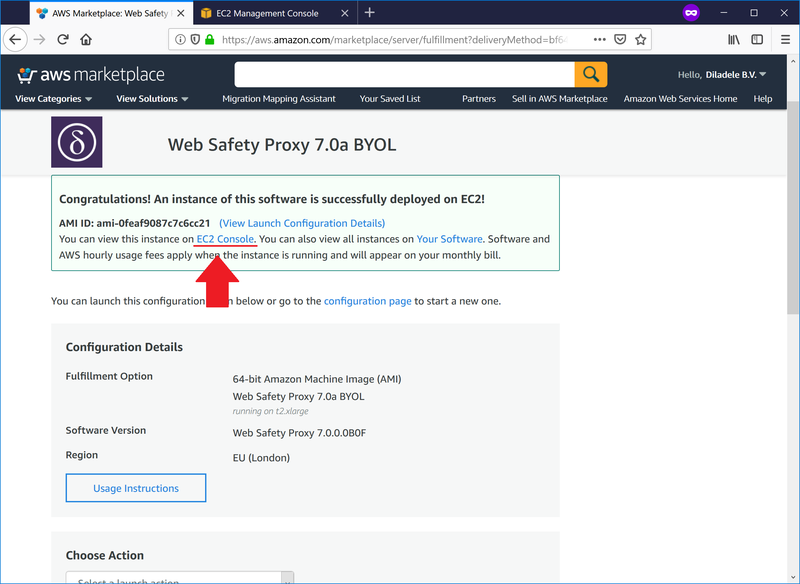 Ensure the AWS region where you would like to deploy the instance is correct (EU London in this case, but can be anything) and click Continue to Launch button. 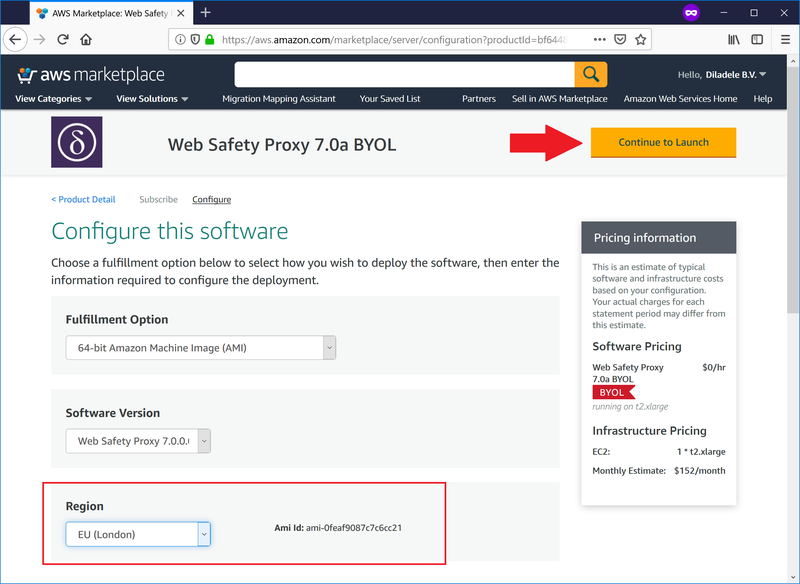 Default and recommended security group (firewall) rules allow for incoming connections to port 22 (SSH), port 80 (UI Console of Web Safety), port 443 if you later decide to switch UI Console to HTTPS (recommended) and of couse port 3128 for proxy connections from the browser. Review all the presented information and click Launch button, you shoud now see the Instance Launched message. 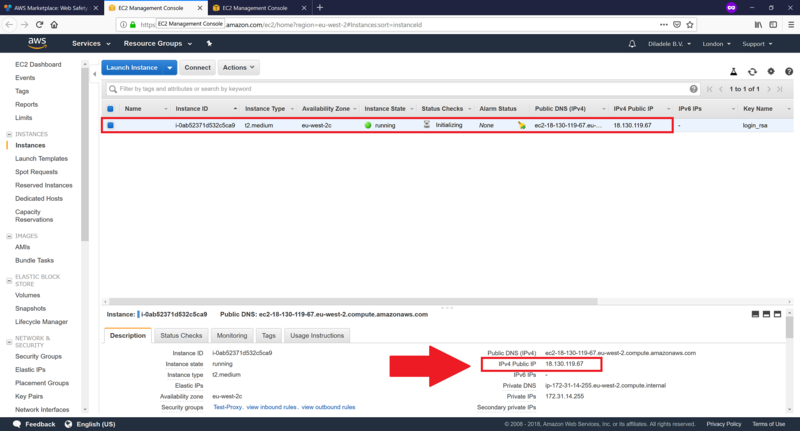 Click on link to EC2 Console to finally see the instance up and running. Note the properties of the running virtual machine at the bottom of the page. Most important property is of course Public IP address which we will use to connect to the virtual machine on the next step.